My first experience at Tortilla Republic was in Poipu Beach, Kauai. The modern Mexican Grill and Margarita Bar offers a creative menu without using lard, unwanted preservatives or additives. Owned by the same restaurateurs who own Taste in the Pacific Palisades and on Melrose, they opened a second Tortilla Republic in West Hollywood in March 2012. Located in the former restaurant space of Fat Fish and next to Lisa Vanderpump’s reality star restaurant, Sur, we skipped the valet and parked our car in the City of West Hollywood’s library parking garage. I admired the colorful Peace Elephant mural right behind the restaurant. Painted by the talented Shepard Fairey, the giant mural is the largest Fairey has ever painted at 70 feet by 106 feet. Walking up to the hostess stand, we peeked inside the main dining room and noticed the life-size sculpted metal tree. To the right is a large bar buzzing with lively discussions. A multitude of various tequilas were displayed on glass shelves near the back. We were offered a table in the front of the restaurant next to the window overlooking Robertson Boulevard. It was never a dull moment. Cars, limos and taxis rolled up to the valet stand. Half the people exited their vehicles and strolled into Tortilla Republic. The other half passed by our table to “be seen” at Sur. Perusing the margarita menu, we discussed the jalapeno margarita and beetarita made with fresh beets, before ordering the cucumber lavender margarita made with El Jimador Silver, fresh agave, lime sweet, muddled cucumber and house made lavender syrup. 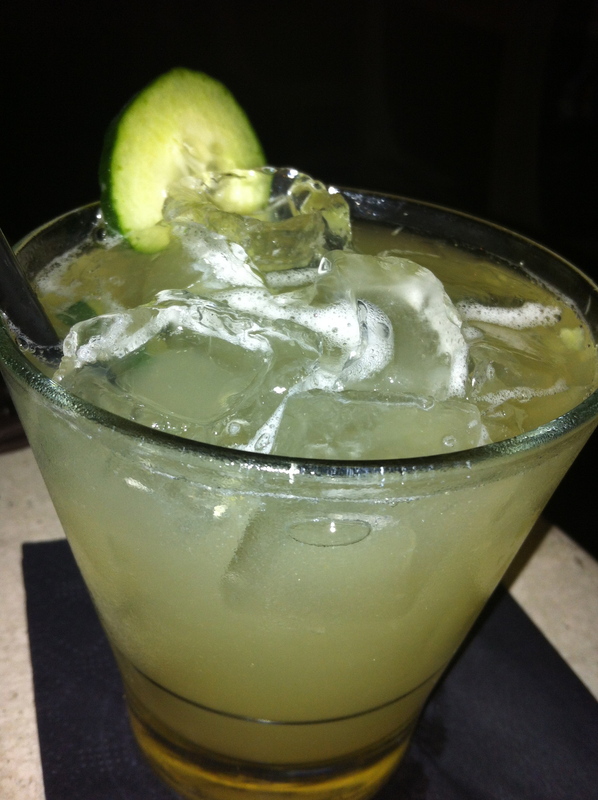 My husband ordered a house margarita with El Jimador Blanco tequila, fresh Agave and lime with triple sec. One can order by the glass, social pitcher for $40 or a fiesta pitcher for $80. There are two dining menus. A prix fixe with two courses for $24 or three courses (dessert) for $29 looked interesting. We selected the fresh ceviche made with chunks of swordfish and shrimp marinated in chilled citrus and lime juice. Hints of cilantro and a splash of mango salsa completed the glass. 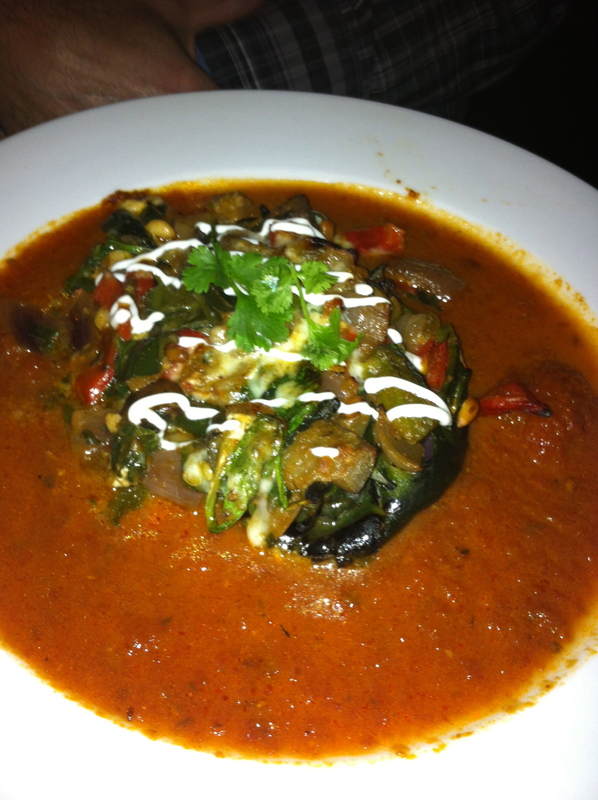 The poblano chile relleno, stuffed with eggplant, mushrooms, pine nuts, goat cheese and raisins caught my eye. It’s topped with a spicy ranchera sauce and a creamy polbano cilantro sauce. Some of the popular entrées on the main menu were duck confit tacos with sour cherry salsita and lobster enchiladas. Both pair nicely with a glass of Mexican Negra Modelo beer. 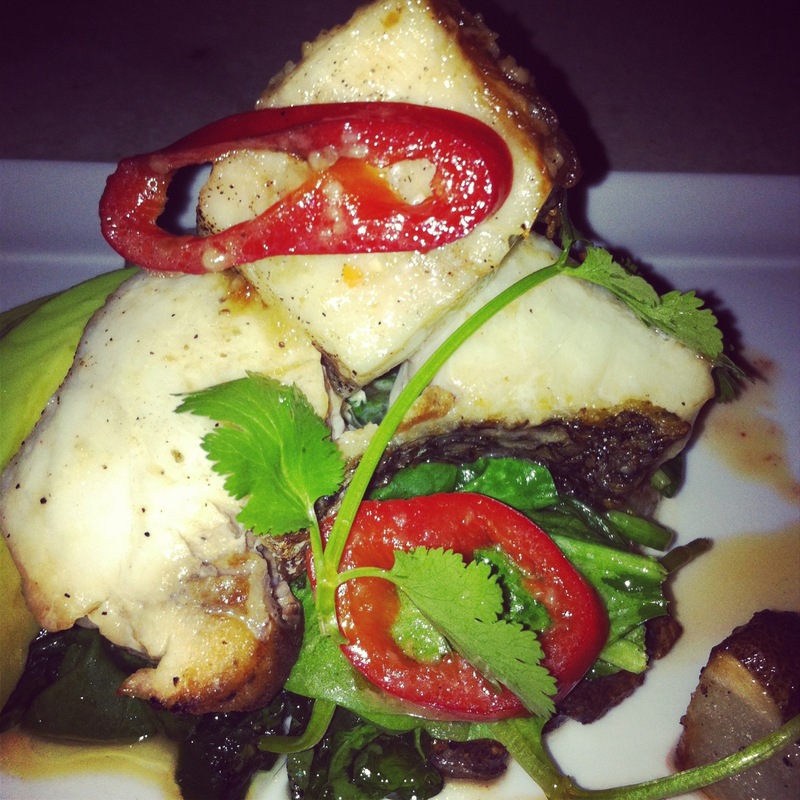 We also tried the fish special of the evening, a sea bass with spinach and roasted potatoes. Sliced robust red chili peppers were placed around the dish. For dessert we devoured one of the most delicious slices of housemade Key Lime pie and a bowl of Mexican chocolate ice cream with a touch of Ancho chili. This type of chili is sweet and smoky. Its heat ranges from mild to medium-hot. We had one scoop of chocolate and two scoops of salted caramel gelato. Before leaving we walked to the back of the restaurant to see the dramatic white rope room with thick white ropes draping the ceiling and gathered together in the center of the room. The manager of Tortilla Republic, Mayuret Bryant, informed us the room can be reserved as a 40-seat private dining room. “We had a great private party last night. It’s quieter and reserved often, ” Bryant said. We also talked about how Tortilla Republic is offering a pop-up every Thursday at TASTE in the Pacific Palisades. “It allows Westsiders to experience our Mexican cuisine while staying closer to their home,” he added. Each Thursday they will serve a rotating menu and innovative margaritas. Celebrate Mexican heritage and culture with the first Grande Cinco de Mayo Block party on May 5 from 2 p.m. to 7 p.m. El Tovar Place and the West Hollywood open air parking lot behind Tortilla Republic, will be transformed into an outdoor celebration featuring food, drinks, piñatas, and live entertainment with a DJ and mariachi band. The party will benefit Project Angel Food, a non-profit organization that provides free and nutritious meals to those affected by HIV/AIDS. Tortilla Republic will be serving Sunday brunch from 11 a.m. to 3 p.m. and dinner from 5 p.m. to 10 p.m. 616 N Robertson (310)657-9888. This article was published in the Beverly Press and Park LaBrea News on 5/2/13.